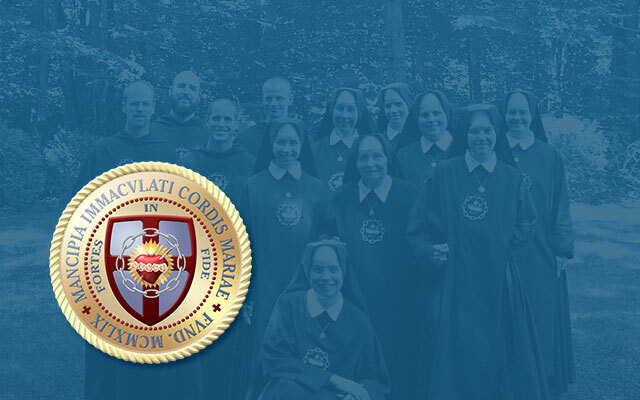 Perpetual Vows of Brother Joseph Mary, M.I.C.M. On May 13, 2013, Brother Joseph Mary professed his perpetual vows as a Slave of the Immaculate Heart of Mary. The ceremony took place during a traditional-rite Missa Cantata celebrated by the Very Reverend Monsignor Daniel O. Lamothe, V.F., at Saint Benedict Center in Richmond NH. Ad multos, sanos felicesque annos, Frater in Christo!